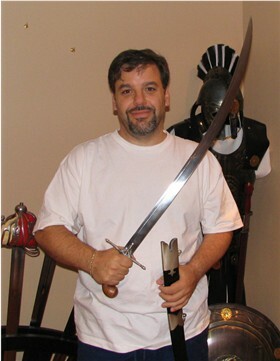 When it comes to choosing an Arabian Scimitar sword in our sub US$300 price range, at first it would seem that this category is sorely under-represented. Luckily there is one fully functional replica scimitar being produced by Windlass Steelcrafts that should fulfil the requirements of the most discerning collector. Not only is it beautiful in appearance, but this historically accurate Persian scimitar sword is also lightweight, strong and very, very fast. 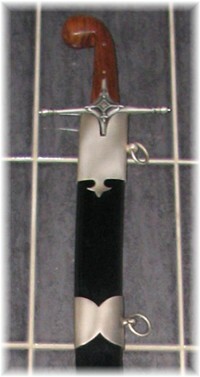 This sword is the replica of a Persian Shamshir from the late 17th, early 18th century. What makes this piece original is that it is one of the only such sword on the market. I know that Cold Steel recently added such a sword to its line up but I have not seen it yet and, it is fairly expensive (over $300). First of all, one must note the beauty of this exquisite sword. The finish is impeccable, the balance is extraordinary and it handles extremely well. This is not a heavy cutting sword, it lacks the weight of a European blade however it is capable of lightning fast cuts and draw cuts. The blade is high carbon steel, and is very sturdy yet, with enough flex to absorb shocks and return to its true. If you like eastern swords, this is a MUST for your collection. 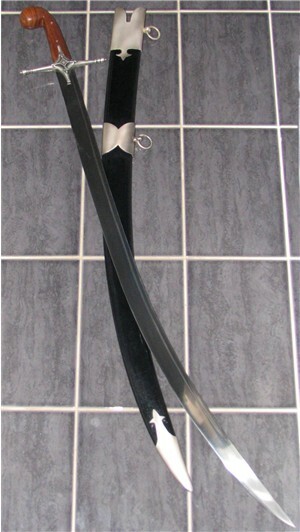 It is an extremely well put together sword, the wooden handle is riveted to the tang, the guard is nicely decorated, the blade is well polished and the scabbard is exquisite (black leather with nickel plated tip and throat). But, the best selling feature is the price, at $209 it is a steal. I am a big fan of Windlass swords and MRL, as a history teacher, they offer some of the most historically accurate and affordably priced replicas on the market. This one is one of their best. GET IT! Definitely a nice deal for this blade - and great to see that it has held its low price now for nearly two decades..!